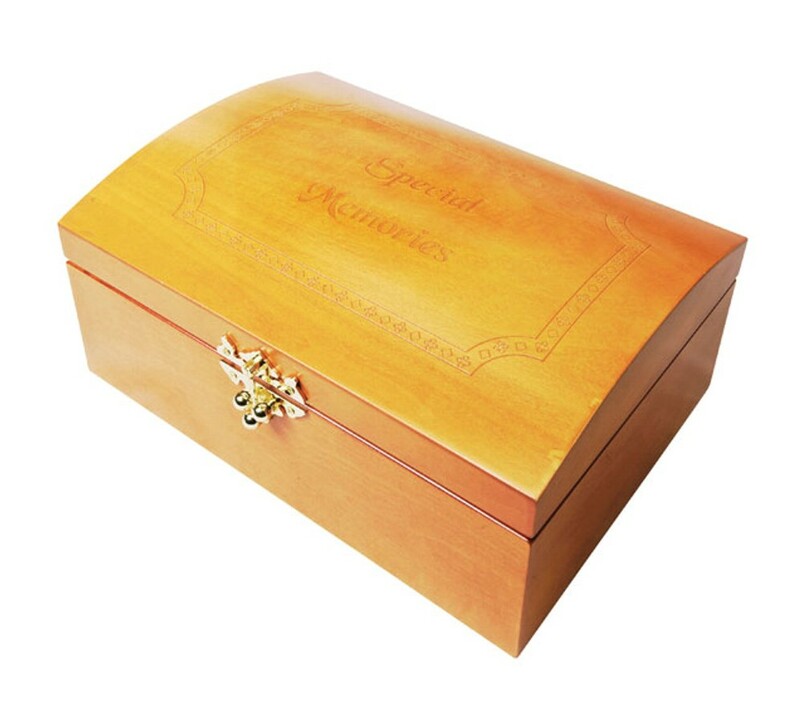 Brand New to A1Personalised Wooden Special Memories Box. 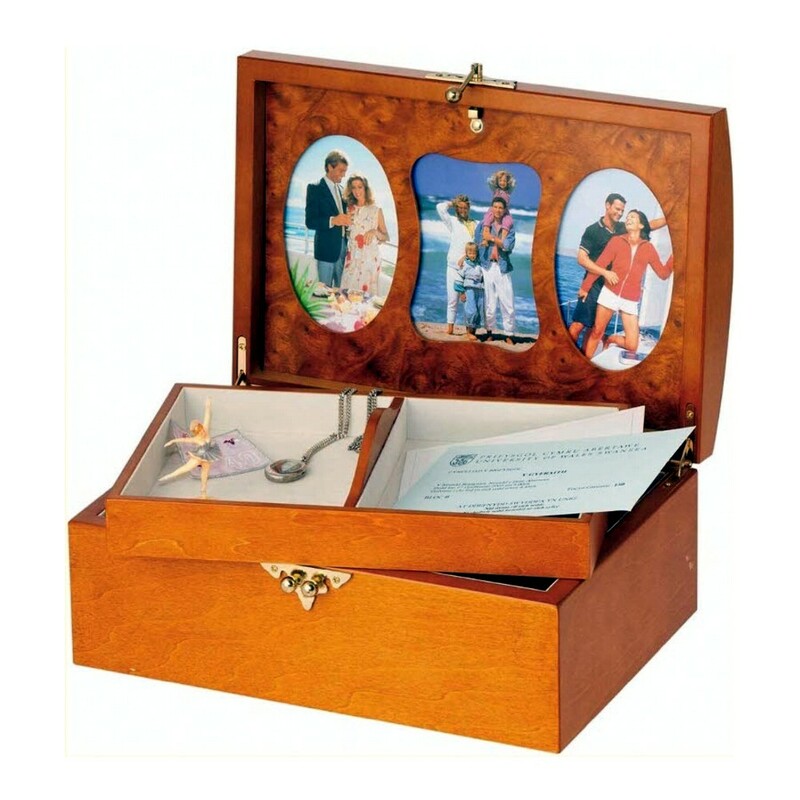 This beautiful domed lid memories box by Mele & Co. measures 20 x 29 x 13cms and has a lift out compartment at the top with plenty of space underneath for your precious memories. Inside the lid it has spaces for 3 photographs too. On the lid of the box it has Special Memories embossed as well as the border.